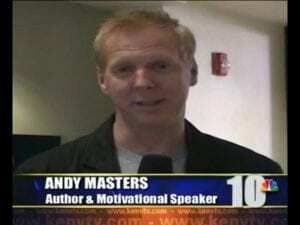 Andy Masters is available by request for TV, radio, online, or print media interviews. Andy’s TV interviews have included “The Balancing Act” on LifeTime Television , PBS “Horizon”, the “DayTime” TV show syndicated in over 100 U.S. markets–and many NBC affiliates. Andy’s print features & interviews have included Investor’s Business Daily, St. Louis Post-Dispatch, Leadership Excellence, and Sales and Service Excellence magazine. 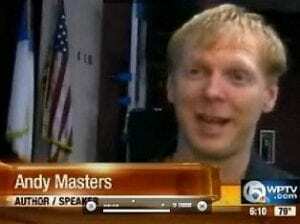 To schedule an interview, contact Andy’s office at (407) 595-5838 or email andy@andy-masters.com. Listen to Andy's radio interview on Amazing Business Radio with Shep Hyken, titled "How Customer Service is Just Like Dating and Relationships." Hear Andy's Podcast on where they talk about how sales & service relationships can be the same as dating and maintaining a personal relationship. 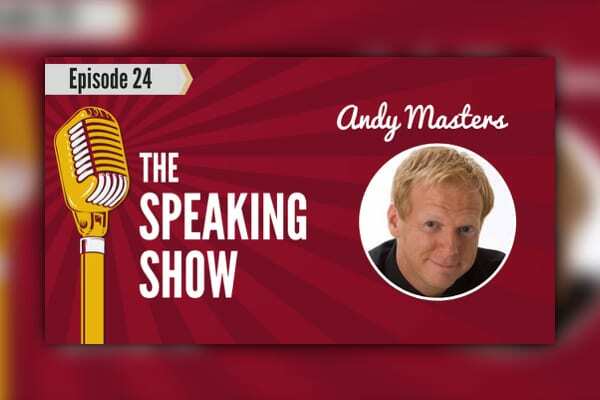 Andy appeared as a special guest where he shares a few pieces of advice from his award-winning book: "Kiss Your Customer: 77 Reasons Why Sales & Service Are Just Like Dating & Relationships". Association Leadership in the New Economy: Recruit. Empower. Celebrate. Permission to reprint articles, quotations, or previous interview quotes, either excerpts or in its entirety, is hereby given to all print, broadcast and electronic media, provided that the contact information listed below is displayed at the end of each article in your publication. Permission is also granted for reasonable editing.